At ARC, we understand your business and your ability to satisfy customers depends on peak performance of a variety of plate cylinders. That’s why we offer you full fabrication of plate cylinders, as well as reconditioning of roll diameters and surfaces. Our expertise extends to all types of cylinders, with full restoration using welded mild steel, stainless or chrome-plate options. 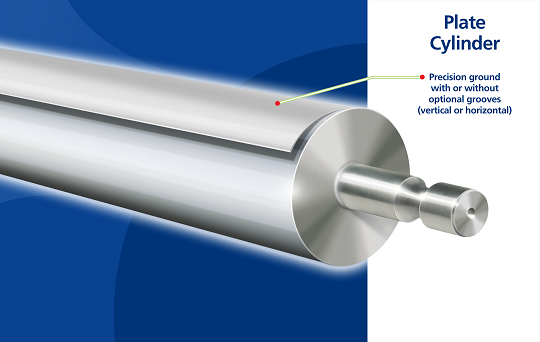 Our technicians inspect and dynamically balance and correct your cylinders to eliminate vibration at all press speeds. Each roll can be scribed with center lines or grid patterns to match your plate mounting requirements. In many cases, we are also able to convert an existing plate cylinder into an air mandrel for a sleeved application, saving you the expense of a complete fabrication.